The U.S. Environmental Protection Agency Tuesday awarded $326,776 in grants to groups that will manage and monitor waste, including sewage spills, along the U.S.-Mexico border. SAN DIEGO (CNS) - The U.S. Environmental Protection Agency Tuesday awarded $326,776 in grants to groups that will manage and monitor waste, including sewage spills, along the U.S.-Mexico border. The four projects are intended to improve air quality monitoring, assess transboundary spill impacts and reduce plastic bag pollution along the border. Funds will be matched by an additional $318,813 from recipient organizations. "These grants will fund projects designed to help mitigate health and environmental risks, advance economic development, and provide clean water and air for families living in the region," EPA Administrator Scott Pruitt said. UC San Diego's Scripps Institution of Oceanography will receive $87,556 to study wastewater spill impacts along the Pacific coastline between Punta Bandera and Imperial Beach. Sewage has for decades flowed from the Tijuana River into American waters, in the process leading to beach closures and sickness. The Port of San Diego and cities of Chula Vista and Imperial Beach filed a lawsuit in March alleging the federal government isn't protecting water quality and public heath. 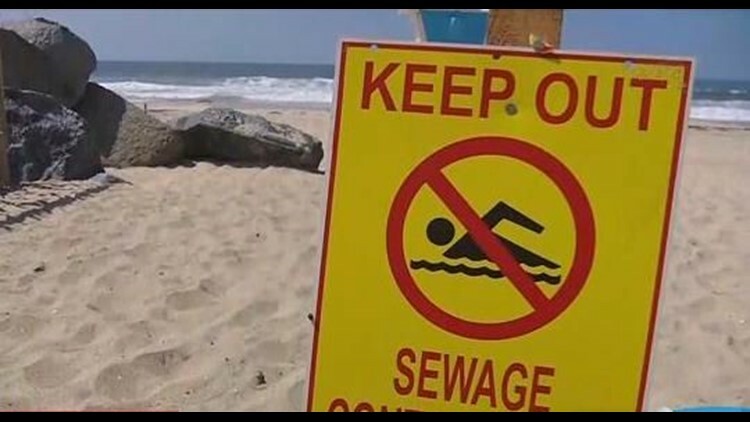 According to the EPA, Scripps' assessment of sewage spills will lead to more accurate and timely beach advisories, and is also expected to quantify the overall extent of February spills. The University of Washington will receive $99,935 in EPA funding to install six air quality monitors near the San Ysidro Port of Entry, which is the busiest border crossing in the Western Hemisphere. Data is expected to show the quantity of emissions entering the U.S. from Mexico. Two unnamed groups also were awarded $139,285 to prevent transboundary waste from entering the Pacific Ocean, Tijuana River Estuary and New River. Funds will be used to improve waste management and promote recycling as well as reusable bags. Each project falls within the U.S.-Mexico Border 2020 Program, a binational effort to protect the environment and human health along the border.